I was quoted in the March issue of Technologies for Worship Magazine in an article about broadcast ministry. (This is the online issue. Article on Page 16) Here’s a link to the blog bost they quoted from: The Decline of Christian TV – the Future of Christian TV. It’s actually from February 2012. Since this article was posted, I have actually broadcast the show I was developing back then. We are in fundraising and pre production on new episodes. Production hits in April, with a new broadcast debut on JCTV in June. We will have 10 episodes after this production run. I still believe that the future of Christian TV/video is in doing show that appeal to younger viewers, and getting away from the paid time model. I have never paid for time to broadcast my show. There are ways to get shows on stations without paying, but you have to have content that is unique. Just a few weeks ago I was at NRB again. I finished out my term on the Church Media Committee. This year I was promoting my program, so I talked to a lot of stations and networks. To my knowledge, Peculiar is the only Christian sitcom in production today. There might be something else out there, but I have not found it. I want to find it. I want there to be all sorts of programming from a biblical perspective. There are a couple of reality shows, a few dramas, but where are the comedy shows (not stand up comedy) that are not directed at kids? Anyway, I have found that station and networks are looking for content that is unique, and if you fit their target audience, you have a shot on being on there for free. You still have to cover production costs, and stuff like that, but not air time. You don’t get to pick the time slot. But it’s free. It’s easier if you have an organization behind you. Independent Christian TV is hard, and expensive. But if we don’t change, we lose religious broadcasting. This medium has been so powerful over the years. I don’t want to see us abandon it. New stuff is hard. But are we called to make programming that is easy and familiar, or are we called to reach the world all ages and areas) for Christ? We have been in the middle of a crowdfunding campaign over at IndieGoGo for new episodes of my show, Peculiar. So now you are up to date on the campaign! Next Reveal Video will be out when we hit $2000. We need your help to make this happen. You can do something “Peculiar” and support Independent Christian TV! Even if you decide not to give any cash, you can use the tools on the page, right under the video, to share the campaign with your friends. I have been wanting to get my hands on a script that I could shoot as a short film. You know, because I am not busy enough as it is with my family, and the show, and fundraising, and the freelance work, and such. But I don’t really know where to find these things. Scripts that people who wrote them will let you shoot for free, just to experiment. So, even though I am crazy busy, I started writing one last night. It’s based on a character in a movie idea I have. (A movie idea that could be a TV series…but I digress). And that in turn is based on the Hosea and Gomer story. Think about it. God chooses Hosea, has him marry a prostitute who repeatedly cheats on him, and Hosea keeps taking her back. Not just taking her back, but going after her. The 3rd child they have isn’t even his kid. Can you imagine how he must have felt every time? Not the churchy answers, but the real gritty response to finding out that your wife, the woman you love, the mother of your children, has cheated… again! So, of course, in my head it’s not a simple shoot. To do it right there’s multiple locations, props. You have to find just the right actors. But still, fun to be creative. I don’t know if this classification already exists, it probably does. To me, it means Christian TV programming that is not financially supported by another organization. There are many shows that are a part of the broadcast ministry of a church, or attached to a network. Or supported by a ministry of some kind. Then there are shows that are out here, just making TV. If they are set up as non profit, then they are most likely ask for donations on their show and pay for their air time, continuing the paid time/donor model of religious programming. But almost every station and network has a problem with my show. It’s aimed at the wrong demographic. That doesn’t mean they won’t air it, but the fact is, my 18-35 year old target is too young for their audience. It’s a vicious cycle. Young adults don’t watch religious programming. So Christian program producers don’t make programming that appeals to them, they focus on people they can reach. They do shows for 35-50 year old women, and people age 50+. Then, when a young adult flips through the station they don’t ever see anything they want to watch, so they don’t watch religious programming. And the cycle rolls on. There are some exceptions out there, but generally large Christian networks don’t do programming for young adults. I talked at length with one network rep, and he seemed very interested in the show. They are creating a new commercial network (trying to navigate the changing nature of religious broadcasting, looking to the future when paid time won’t be viable anymore) but their target is age 35-50 women. Smaller station are more flexible, and I have several that should begin broadcasting the show as soon as I can get the episodes to them. I hope to find at least one larger network that will take a chance on us. Meanwhile, I am finding out more each day why no one does what we are doing. They have to fund it somehow. With no large church or ministry or network to finance the show, how do we pay for it? First, we do it for next to nothing. Quality suffers, but not as much as you would think. You have to be smart, efficient, and be able to cast a clear vision for why people should give of their very precious time to your project. When I showed the rep at that network our promotional piece that listed the ideal budget for each episode, he was shocked that I could do an episode for $5000. I laughed. I told him that was the ideal budget, what I would like to raise so I could pay the people involved a little something. We shot the first 6 episodes of Peculiar for under $3600. Total. Not everyone will have the resources I do, but you can reduce the cost dramatically. I call what we are doing micro-budget. Second, we use crowd funding sites to raise money. Right now (through April 4th) we are raising money for the new season. We went with IndieGoGo this time, but for the first episodes we used Kickstarter. 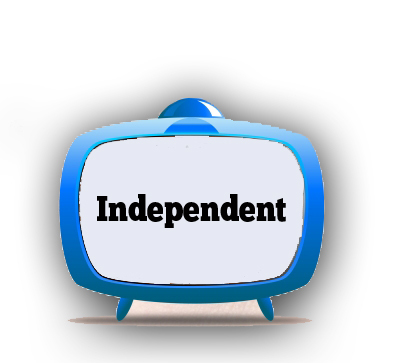 Both platforms (and many others out there) offer independent TV and filmmakers the chance to find the money for their projects. There are a lot of things that go into a successful crowdfunding campaign, more than I have space for here. So do you homework before you launch. Meanwhile, we work at it. Keep moving forward. Keep doing freelance work to pay bills.